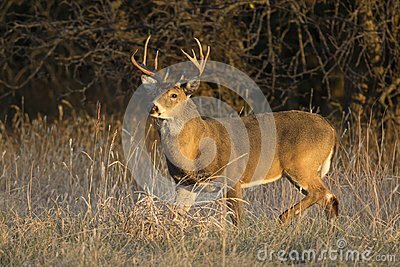 This large Kansas Whitetail Buck was searching for doe`s along a tree line in late Autumn. This large Whitetail Buck had been spending some time in the grass field along a tree line in Kansas. Late Autumn and early Winter is the rut season for deer in this region.